If you haven’t read her two other books Captive in the Dark and Seduced in the Dark I suggest you read them before you read my review. I don’t know how you manage to do it CJ, but you do. You do. And you undo me in ways that leave me mind-blasted! The Dark Duet Series is probably one of my favourite series of all time. 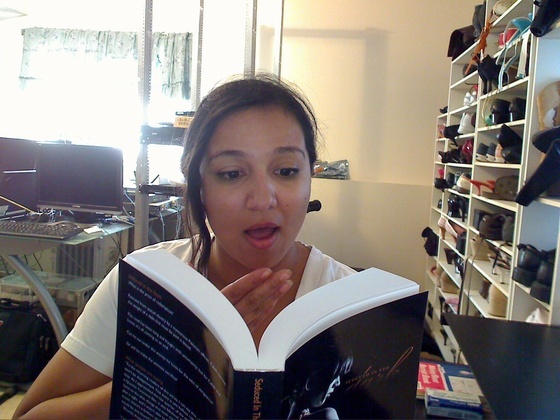 I’m so happy I found CJ on Kickstarter last year when she was raising money to print her second book Seduced in the Dark. At first I wasn’t sure if this book was for me, but at the last minute I decided ‘What the hell, take my money and we’ll see what I make of it.’ OMG! BEST…however much I gave her at the time because I don’t remember, I ever spent! I’ll admit that I was sad when Dark Duet ended, although it was still a very perfect ending. Still I was ready to move on. When CJ announced earlier this year that another book was in the making I practically died, I just couldn’t believe…MORE CALEB AND LIVVIE ❤ ❤ <3~! 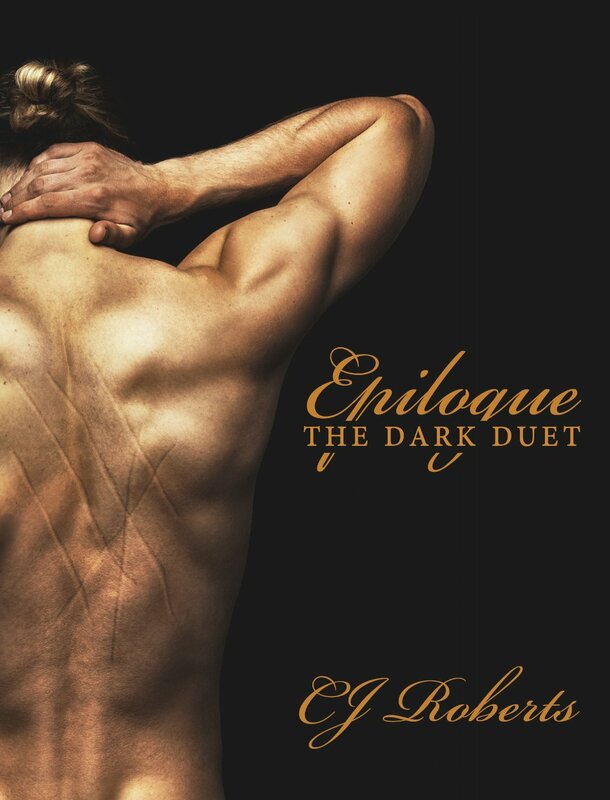 Epilogue is the PERFECT follow-up conclusion to her Dark Duet series, Captive in the Dark and Seduced in the Dark. It has everything in you want in a Happily Ever After epilogue. Even if you haven’t read CITD and SITD in several months, for me it was A YEAR since I read them, you can still pick up Epilogue and feel as though you never left. It picks up RIGHT after SITD ends and right before the epilogue she wrote in SITD – just so you’re not confused about where this book starts off. The storytelling seemed very slow and it stretched out, BUT IN A GOOD WAY! Enough so that I clung, and hung onto every word on every page because I didn’t want it to end! I wanted to refuse for it to end; even though I just loved seeing Caleb and Livvie so happy after everything that they’d gone through. There was just so much in depth character development from Caleb’s POV that we got to see that I was just SO EXCITED FOR! I just love being in his head. I had enough Livvie in CITD and SITD, not that I don’t love her, but I really wanted to see the world from Caleb’s eyes, more than what we got in CITD and SITD. He really does do SO MUCH GROWING UP, mentally and emotionally in this book that you just really want to give him a big hug and say, “I forgive you” even though to him it’s far from being enough. There is just so much going on, but what I liked was there were just…no surprises. It was just two people, trying to get over a REALLY BAD TIME and learning to live with each other after everything they’ve been through. In this book you can really see that Caleb tries to be a better person for her; that he wants to be her everything, while still learning how to be this new person. It really is a chance for him to start over as James Cole, even though you can never forget a life that he had and a life that he put her through, the point is that they’re both trying. I’m not going to lie though, I thought I laughed and grinned more in this book than I cried or felt intense feelings in my chest. It’s actually freaking HILARIOUS something I didn’t expect from Caleb at all! I was just so happy for them to be PEOPLE instead of dominant and submissive or master and slave. They have REAL CONVERSATIONS, they flirt and banter and it’s freaking ADORABLE! Livvie Logic. At it’s finest. All in all, I’m more than happy with the way it ended, and honestly couldn’t have wished for a better ending for this series.I just can’t wait until CJ puts out something else. As much as I love Livvie and Caleb I think now I’m ready to see what’s coming up next. 6/5 Hearts of Love. Because I can do that! Did you know that were was AN EPILOGUE TO EPILOGUE? And I’m not talking about the two page epilogue at the end of the book. NO! I mean CJ wrote a little bit extra for us that just extends the ending a little more.